HomeState of the (AI) War: Incoming! One of many distribution nodes, a little treasure chest filled with crystal and metal. Or electronic death. A Zenith Reserve, a treasure trove of one-off alien ships. Wait, is that ivy clinging to the surface? 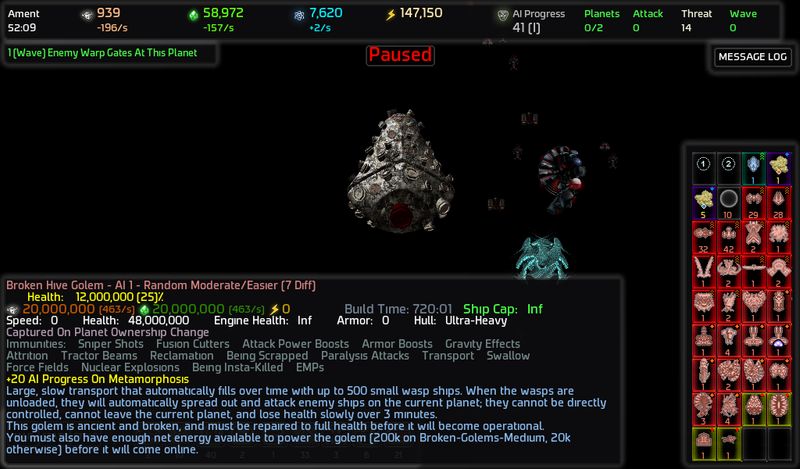 This odd doohickey is a massive, mobile fighter factory. It’s broken, though. And expensive. Does it mean something when a game is so complicated, it must generate its own “honey do” list? Well, that’s some stuff to take care of. And anyway, if you’re wondering about AI War in general, give the site a chance to explain it to you (and hey, free demo!). Or, at least read about it on RockPaperShotgun. 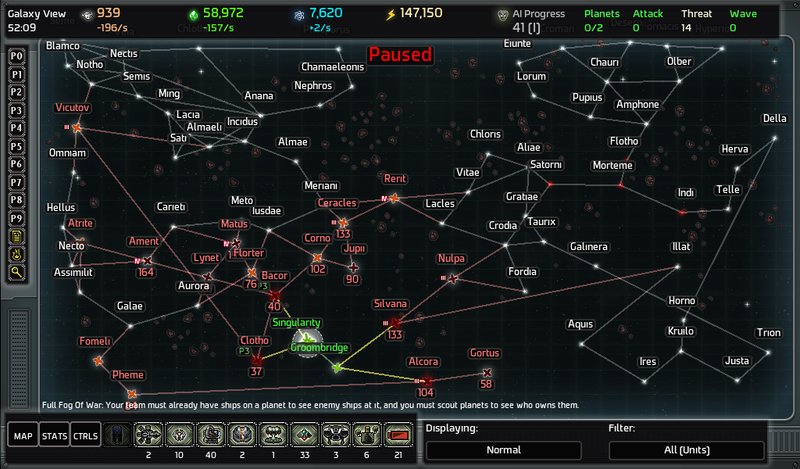 Have you come across any data centers yet? What do they look like? How does one deal with them? 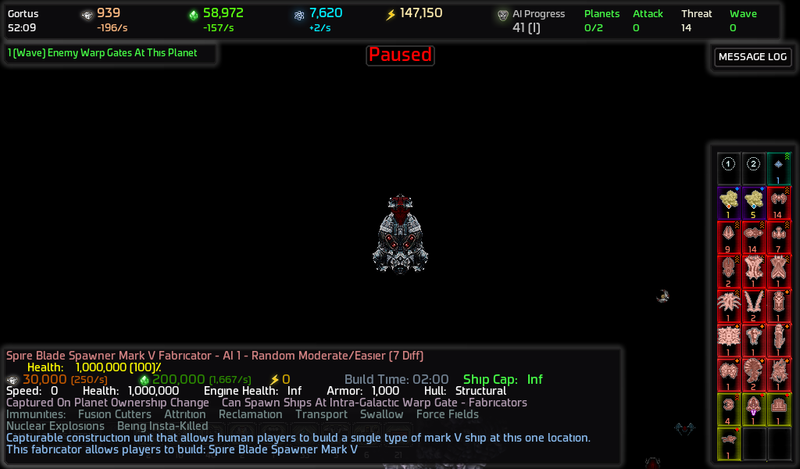 I’ve been playing this on easy and my strategy is basically just to swarm a planet with a maxed-out (in terms of population cap) blob and destroy everything. Have you come across any way to keep any of the existing infrastructure or is this the only way to do it? 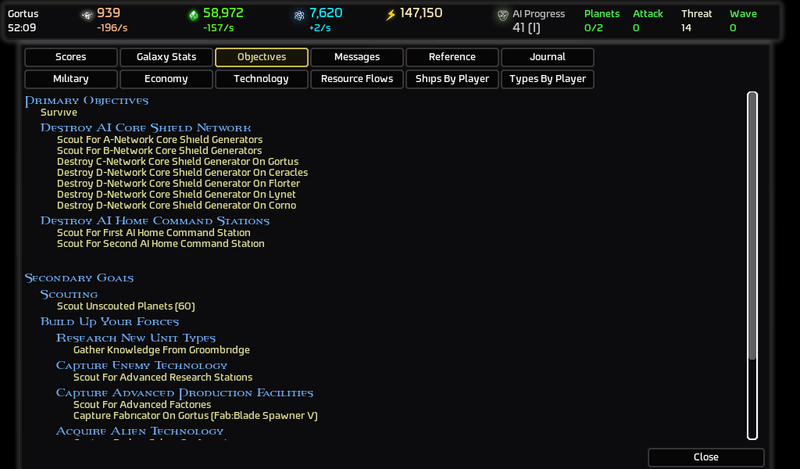 Sure, my latest game has a data center in its early stages (and so far my games only last through the early stages). They look similar to Co-processors, showing up as rectangular icons, and up close they are large rectangular slabs. 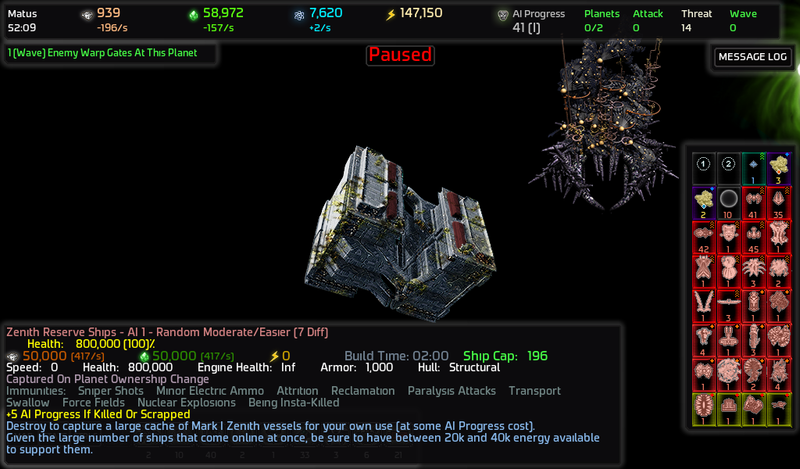 You can find them on your galaxy map by selecting “AI Progress Reducers” and checking each system that shows up on the map (this will also include things like Co-processors and Spire Civ Leaders), or by looking at your Objectives. As for how to deal with them, that’s of course situational. They don’t tend to hang around undefended systems, but you could conceivably storm into the system, blow them up, and retreat. Just check to see that they’re not shielded, and that you can handle any retaliation that might occur. 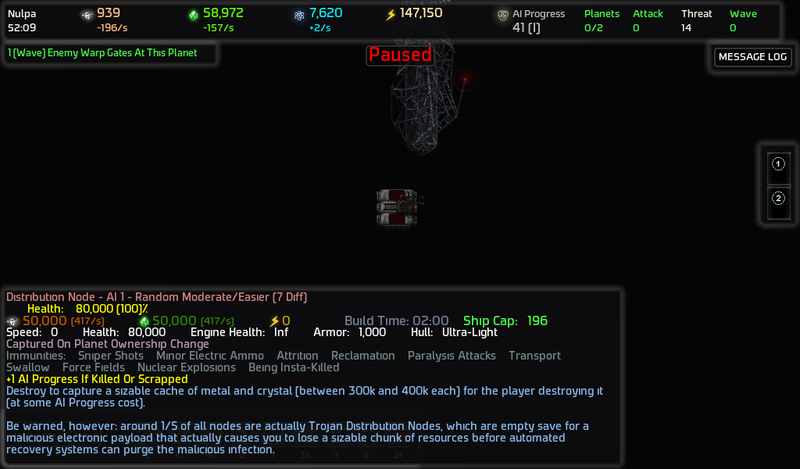 As for “keeping existing infrastructure,” your fleet will not automatically target anything of larger importance, like stations, warp gates, progress reducers, etc. So they’ll leave useful stuff, or progress increasors, alone. Just make sure you can handle any consequences of capturing or destroying things, the AI can be pretty nasty.